So, I have always loved stationery but it was kind of hidden, not many people knew about this slight obsession. They would perhaps see it quickly in a quirky little note book, or the yearly diary I would buy and never use, however I decided one day why don’t I take some of that love and share it around and hence the emergence of I Do Stationery. To begin with I’m focussing on weddings and engagement, creating beautiful designs that you can then personalise to suit your special day. You can even ask me to design you something completely from scratch – a customised wedding stationery suite just for you. But don’t expect it to stop there, watch this space to see what new products may pop up in the future. 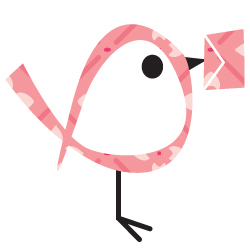 And if you’re wondering about the little birdie – kind of another obsession of mine. He doesn’t have a name yet so if you want to make any suggestions go for it!